Buy Witchcraft Café a Coffee. ko-fi.com/lyrium - Ko-fi ❤️ Where creators get paid by fans, with a 'Buy Me a Coffee' button. 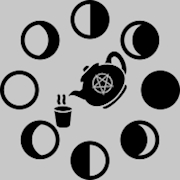 Witchcraft Café is a public, moderated instance that offers witches a safe, decentralized network to gather on and discuss their craft with fellow practitioners. Identification as a witch is not necessary to register on this server; anyone with an open mind and interest in the occult is welcome to join! Server admin duties are performed by @lyrium. Server hardware is fully hosted and managed by masto.host in Portugal. Secured Payments. Support goes to Witchcraft Café's account. Upgrade Witchcraft Café to a yearly Gold Membership with a one-time payment.